Mortgage takeover after divorce – How does it work? Divorce ensures that many things need to be arranged. Especially when you own a house together. This house is often also charged with a mortgage. First, agreements must be made about the plans for the house. Are you staying in the house and buying out your ex-partner or vice versa? Or you decide together to sell the property and repay the mortgage. At the moment that you or your partner solely own the house and you are not married in community of property, the house does not have to be divided. If you have made prenuptial agreements then special arrangements can be made regarding the mortgage and the home. This sounds easier than done. There is a lot to look at before a mortgage can be taken over or be transferred to one name. It is also possible that a new partner wants to sign into the mortgage deed. This is then called ‘jointly binding’. For example, you first need to make agreements and secure them in a divorce agreement. The mortgage provider can assess your application on the basis of this document, among other things. Until the mortgage has been taken over or a new mortgage is contracted, you and your partner remain jointly liable for the mortgage. You both remain liable for the mortgage provider or bank if the monthly payments are no longer paid. It does not matter whether you are still living in the house. The relocated partner who still appears in the mortgage agreement remains liable. Are you both owner of the house and have you taken out a mortgage for the house then you also have each right to half of the so-called home acquisition debt. This is a fiscal concept. This is the amount of the mortgage on which you may deduct mortgage interest if you meet the conditions. This home acquisition debt is personal and not transferable. Why this is relevant we will try to clarify with an example. Karin and Adam together bought a home in 2004 with a mortgage and home acquisition debt of € 250,000. This mortgage is fully redemption-free. Karin would like to take over the home and mortgage. For the sake of convenience we make the assumption that there is no surplus value. Karin is allowed to continue part of the redemption allowance. They may only have a 50% interest-only mortgage and for the other 50% they must choose an annuity mortgage or a linear mortgage. The reason for this is that on 1 January 2013 the loan rules for mortgages have been tightened up. This was part of a package of government cuts. New buyers must do as much as possible on repaying a mortgage and also pay it off on the basis of minimal annuities. Since Karin ‘buys’ a part of the house in the example, she also has to deal with these new loan rules. That is, if she wishes to qualify for interest deduction. If you rely on this outcome, you should sell the property or, together with your former partner, decide to leave the situation as it is. Better you can try to make these agreements during the separation procedure. After all, these scenarios can be foreseen or conceived and then it is clear to everyone what the final agreements are. If you or your ex-partner remain in the mortgage deed, this may cause problems when buying a next home or applying for a loan. You will also remain responsible and severally liable for repayment of this mortgage in such a situation. If you want a second opinion from another lender, we can help you with that. Then make an appointment or call us directly. What documents are needed to take over the mortgage after my divorce? If you choose to take over the existing mortgage, an extensive set of documents is required. In most cases, the divorce creates a tighter disposable income. This has an effect on the maximum mortgage. 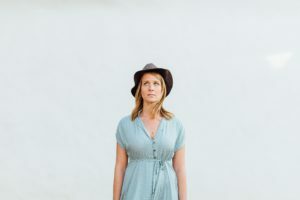 In order to have a good chance to take over the existing mortgage, it is important that you think about the affordability of your expenses yourself. To give this hand and foot, you can draw up a personal budget advice on the Nibud website. This gives you a good impression of the actual expenses and the disposable income. Statement and quotation of the current mortgage. If you have taken out a mortgage with a National Mortgage Guarantee at the time, specific rules apply. The attached process card shows the procedure for converting your mortgage with NHG into a single name or when the sale of the property is the order. Our mortgage advisors in Utrecht can help you make sure you never pay more than you need to for your mortgage. Cournot Adviseurs offers a unique blend of low interest rates and elite customer service. We strive to offer each client the best service possible. The entire mortgage process can be handled online, in person, over-the-phone, or using a combination of other digital mediums. We provide each client a completely bespoke mortgage advice tailored to your particular needs and circumstances. With the help from our firm we can make the complete mortgage process as clear and uncomplicated as possible. Buying your first home in Utrecht or the Netherlands can be a very exciting time, but there is also a lot to learn. Our financial advice covers a wide range of tips and guidance for first time buyers; such as how to save for your mortgage. What can you expect from our mortgage services? We are committed to provide an excellent level of service. Many of our clients come from abroad. Recommendations to friends, family and colleagues and can be anywhere in Utrecht. We work nationwide and therefore we provide mortgage advice over the phone, by e-mail or in person. First of all you can expect independent and honest mortgage advise from us. This, more concretely, means that we have access to almost all mortgage lenders active in the Netherlands. We also have a partnership with foreign mortgage lenders. Besides, you have a legislator on your side who protects you. Namely, we are required to have a license and there is an independent financial supervisor. You can prepare the meeting with our mortgage advisors by call in your employer’s statement. Need mortgage advice in Utrecht? We are glad to assist you! Want to live in the wonderful famous Dutch city of Utrecht? Not surprising of course, because there is so much to see and do in Utrecht. 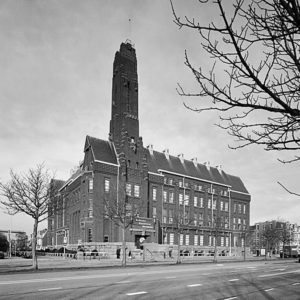 For instance the large Euromast or the beautiful Erasmusbrug. Want to have a look in the impressive harbor of Utrecht? Take a harbor tour with Spido to see it yourself. Are you looking for a home to buy in this bright city, or have you already signed a contract for a house and do you need mortgage advice? We are happy to serve you with specialised mortgage advice. Our highly educated mortgage advisors will give you more then appropriate mortgage advice in Utrecht. We love Utrecht as well. Book an initial, free of charge, telephone consultation with one of our mortgage advisors right now! The housing market is going through extraordinary times in Utrecht. Especially within the centre area it is difficult to find a home. Without guidance is it very hard to get hold of a house in the city with the only magnificent skyline of the Netherlands. 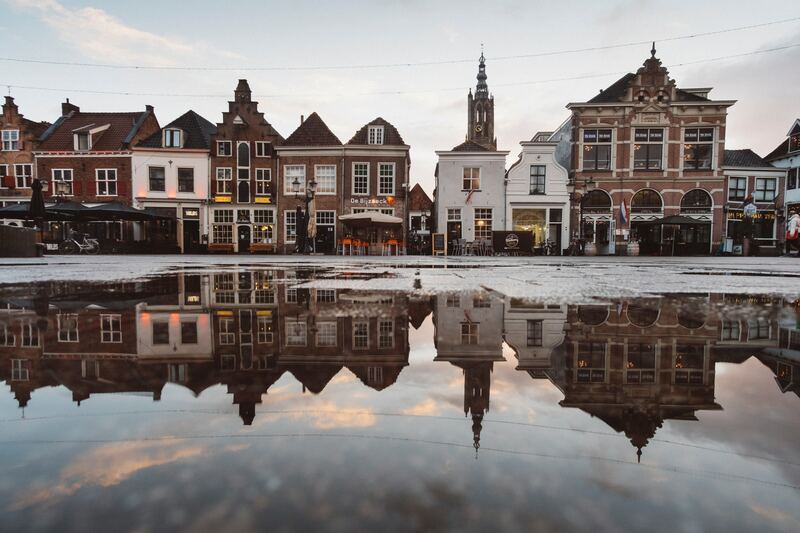 Utrecht, with its extraordinary port, has a lasting appeal on a large group of people. Expats often choose to live in Utrecht compared to other cities because of its no-nonsense mentality of it’s residents. Some of the land belongs to the municipality and you have the it on a long lease. In short this means you pay a reimbursement to the local authorities. A lot of the apartments have an owners’ association. Any person currently looking for a home to buy in Utrecht knows that offers are frequently made without a resolutive condition. Also known as a finance clause. This clause give you time to organise a mortgage for your new house. Making an offer without this condition can cause a big risk. Because what happens if the bank refuses your mortgage application? As this happens, you may then have to pay 10% of the purchase price as a penalty and the real cost of damage. Are you willing to take this risk? We can explain you alternative solutions to have the best bid and buying without this expensive risk. Also we can help you with have a sort of pre-approval mortgage application. Should I keep renting or buy a property in the Netherlands? In the five years following on the end of the financial crisis, property prices in the Netherlands plummeted more than fifteen percent and left many homebuyers with mortgages that exceeded the value of their Dutch property. However, the Dutch housing market upswing that started mid-2013 is predicted to continue through 2018, as the Dutch economy and consumer confidence improve and interest rates remain at a historical low point. These conditions have turned the Dutch housing market into a buyer’s market – particularly for first-time homebuyers – and increased local and foreign investment is pushing property prices back up again. In contrast, rental prices remained relatively stable over the same period, and are showing significant growth as the economy recovers; in 2015, for example, housing experts said rental prices doubled in the main cities of Amsterdam, The Hague, Utrecht, Rotterdam and Groningen. Rental housing platform Pararius recorded the average rental price in the Netherlands in 2016 at around € 1,365 a month but in Amsterdam the average was € 2,200 per month, while in Rotterdam the average was around € 1,200 and in The Hague € 1,500. One main cause is the short rental supply in the private sector, which accounts for only some 5 percent of total housing stock, with the remaining rental stock classified under the social housing sector, which has long waiting lists and restricted to those on high salaries. Read more about renting in the Netherlands. In comparison, as a result of low interest rates, in some cases it is possible to secure a mortgage lower than the average rental prices. However, costs associated with buying property in the Netherlands total around 4-5 percent of the purchase price, thus buying Dutch property is more suitable for long-term investments, at least a minimum of five years. Based on the current price increase on the Dutch housing market it goes faster. 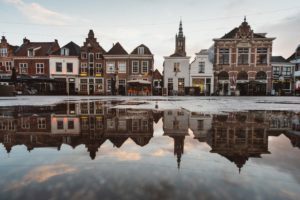 Can I get a mortgage in the Netherlands for my Utrecht property? Of course! There are no legal restrictions for non-Dutch citizens buying Dutch property or applying for a Dutch mortgage. However, if you are relatively new to a job or area, self-employed, on a low income or of a non-EU nationality, these may result in a stricter lending criteria and can become a bumpy road. This can result in a lower maximum Loan To Value (LTV). This is the ratio between the value of the house and the mortgage expressed in a percentage. Each bank has different requirements, but in general, if you are from a country within the EU it helps a lot to apply for a mortgage. They will probably expect you to have a valid passport, have lived in the Netherlands for at least six months, have a citizen service number (BSN) and have permanent employment in the Netherlands. You may need to pay a deposit and be limited to a maximum mortgage of 90 percent of the property value, although the Dutch bank does allow mortgages of the full value of a property. Regardless of nationality, if you are employed you will need to show proof of income and a statement from your employer (werkgeversverklaring) with details of your contract and salary. Temporary workers and university researchers/PhD students will need statements from their employers/universities confirming their position. Self-employed people need to supply the last three years’ income tax returns and accounts. If you live in a house that you own, you have an owner-occupied home. If you are a qualifying non-resident taxpayer, you may deduct the interest on your mortgage or loan for this house. 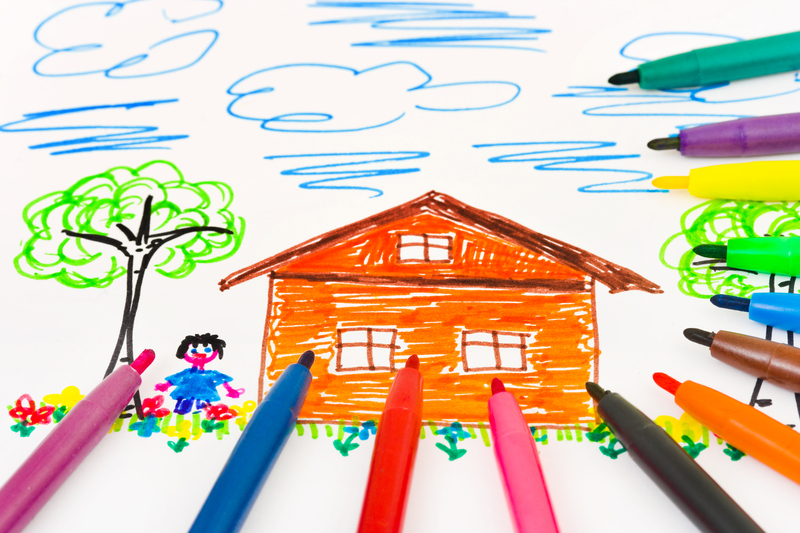 Did you buy an owner-occupied home after 1 January 2013? Or did you increase your mortgage or loan after 1 January 2013? Or is your mortgage or loan higher now than in 2012, because you bought a more expensive house? In that case, you will be dealing with new rules for the deduction of your (mortgage) interest. On 1 January 2013, the rules on the deduction of interest on the home acquisition debt (mortgage interest deduction) were changed. For any new loans, you may only deduct interest if you repay the loan in monthly instalments. If you already had a home acquisition debt before 1 January 2013, you may continue deducting the interest on this debt and you are not obliged to repay. When are you obliged to repay? You must repay the loan on an annuity basis or by equal amounts in no more than 360 months (30 years). In both cases, you will pay a fixed monthly amount consisting of interest and repayment. You are entitled to interest deduction in both cases. Mortgage advice Rotterdam for buying a house or refinancing? Our mortgage advisors in Rotterdam can help you make sure you never pay more than you need to for your mortgage. Make it Happen is the slogan of the city of Rotterdam! This fits with our mentality to serve you with the best mortgage advice in Rotterdam. With the help from our firm we can make the complete mortgage process as clear and uncomplicated as possible. Buying your first home in Rotterdam or the Netherlands can be a very exciting time, but there is also a lot to learn. Our financial advice covers a wide range of tips and guidance for first time buyers; such as how to save for your mortgage. We are committed to provide an excellent level of service. Many of our clients come from abroad. Recommendations to friends, family and colleagues and can be anywhere in Rotterdam. We work nationwide and therefore we provide mortgage advice over the phone, by e-mail or in person. Need mortgage advice in Rotterdam? We are glad to assist you! Want to live in the wonderful famous Dutch city of Rotterdam? Not surprising of course, because there is so much to see and do in Rotterdam. 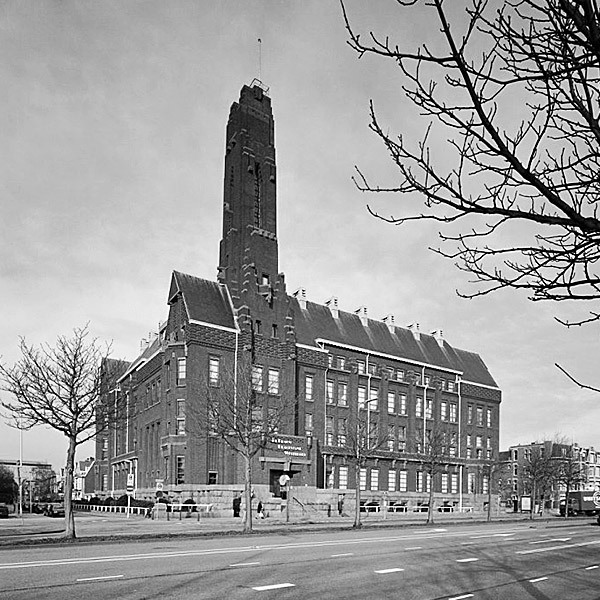 For instance the large Euromast or the beautiful Erasmusbrug. Want to have a look in the impressive harbor of Rotterdam? Take a harbor tour with Spido to see it yourself. Our highly educated mortgage advisors will give you more then appropriate mortgage advice in Rotterdam. We love Rotterdam as well. Book an initial, free of charge, telephone consultation with one of our mortgage advisors right now! The housing market is going through extraordinary times in Rotterdam. Especially within the centre area it is difficult to find a home. Without guidance is it very hard to get hold of a house in the city with the only magnificent skyline of the Netherlands. Rotterdam, with its extraordinary port, has a lasting appeal on a large group of people. Expats often choose to live in Rotterdam compared to other cities because of its no-nonsense mentality of it’s residents. Any person currently looking for a home to buy in Rotterdam knows that offers are frequently made without a resolutive condition. Also known as a finance clause. This clause give you time to organise a mortgage for your new house. Can I get a mortgage in the Netherlands for my Rotterdam property? The National Mortgage Guarantee is referred to in Dutch as ‘NHG’ or ‘Nationale Hypotheek Garantie’ (NHG). The maximum mortgage in 2018 with NHG is € 265.000. Other conditions of this program. Starting a business or already being in business and buying a house in the Netherlands? They are two of the biggest things you can do in life – but do buying a home and starting a business go hand-in-hand? Mortgage advice The Hague for buying a house or refinancing? Our dedicated mortgage advisors in The Hague can help you make sure you never pay more than you need to for your mortgage. With the help from our office we can make the complete mortgage process as clear and uncomplicated as possible. Buying your first home in The Hague as an expat can be a very exciting time, but there is also a lot to learn. Our financial advice covers a wide range of tips and guidance for first time buyers; such as how to save for your mortgage. We are committed to provide an excellent level of service. Many of our clients come from abroad. Recommendations to friends, family and colleagues and can be anywhere in The Hague. We work nationwide and therefore we provide mortgage advice over the phone, by e-mail or in person. It is also possible to have some kind of pre-approval if you are house hunting and already have the necessary documents handy. How to save time in the mortgage process? To get a head-start in buying your house you can gathering all your documents. If you have most of the necessary documents complete it will save yourself a great amount of time. Homeownership history in the Netherlands. Need mortgage advice in The Hague? We are glad to assist you! Want to live in the wonderful famous Dutch city of The Hague? Not surprising of course, because there is so much to see and do in The Hague. For instance the impressive Rijksmuseum or the beautiful canals. Perhaps you need to adjust to the overwhelming presence of bikes! Our highly educated mortgage advisors will give you more then appropriate mortgage advice in The Hague. We love The Hague as well. Book an initial, free of charge, telephone consultation with one of our mortgage advisors right now! The housing market is going through extraordinary times in The Hague. A house with a garden is becoming scarce and the prices are going through the roof. Without guidance is it very hard to get hold of a house in the capital city of the Netherlands. The Hague, with its beautiful Binnenhof and beach of Scheveningen, has a lasting appeal on a large group of people. Expats often choose to live in The Hague compared to other cities because of its favourable establishment environment. 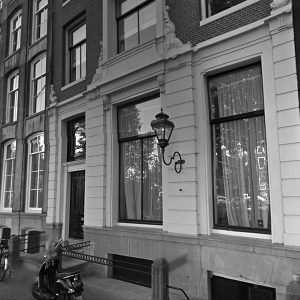 There is a unique mannerism to bid on a house in The Hague. Any person currently looking for a home to buy in The Hague knows that offers are frequently made without a resolutive condition. Also known as a finance clause. This clause give you time to organise a mortgage for your new house. Can I get a mortgage in the Netherlands? It also depends on the status of your residence card. We can inform you during a personal meeting about the possibilities. As a go-between for borrowers and lenders, mortgage advisors can be very useful if you aren’t confident in your understanding of finance or mortgaging. Hiring an advisor can be an excellent way of finding the best value home loan given your personal circumstances – just make sure you select your advisor carefully! 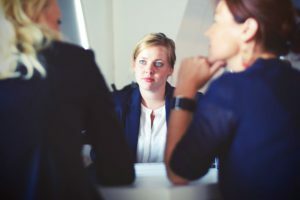 For some people, using a mortgage advisor can be a great move for your financial situation, but carefully consider the pros and cons and check that the advisor you choose has the qualifications and experience necessary to find you the best product they can. If you don’t have the time to do the extensive research required to properly assess the variety of home loan products available to you, a mortgage advisor can do this for you (within the panel of products they sell). Educational qualifications and industry experience can differ widely between advisors, so make sure to enquire about this before you engage the services of any mortgage advisor. Mortgage advice Eindhoven for expat buying your first house? Our mortgage advisors in Eindhoven can help you find the best mortgage solution and make sure you never pay more than you need to for your mortgage. With the help from our office we can make the complete mortgage process as clear and uncomplicated as possible. Buying your first home in Eindhoven or the Netherlands can be a very exciting time, but there is also a lot to learn. Our financial advice covers a wide range of tips and guidance for first time buyers; such as how to save for your mortgage. We are committed to provide an excellent level of service. Many of our clients come from abroad. Recommendations to friends, family and colleagues and can be anywhere in Eindhoven. We work nationwide and therefore we provide mortgage advice over the phone, by e-mail or in person. The housing market is going through extraordinary times in Eindhoven. A house with a garden is becoming scarce and the prices are going through the roof. Without guidance is it very hard to get hold of a house in the capital city of the Netherlands. Eindhoven, with it is industrial heritage, has a lasting appeal on a large group of people. Expats often choose to live in Eindhoven compared to other cities because of its favourable establishment environment. Also Eindhoven is called the Sillicon Valley of the Netherlands. There is a unique mannerism to bid on a house in Eindhoven. Should I keep renting or buy a property in the Eindhoven area? In contrast, rental prices remained relatively stable over the same period, and are showing significant growth as the economy recovers; in 2015, for example, housing experts said rental prices doubled in the main cities of Eindhoven, The Hague, Utrecht, Rotterdam and Groningen. Rental housing platform Pararius recorded the average rental price in the Netherlands in 2016 at around € 1,365 a month but in Eindhoven the average was € 1,650 per month, while in Rotterdam the average was around € 1,200 and in The Hague € 1,500. One main cause is the short rental supply in the private sector, which accounts for only some 5 percent of total housing stock, with the remaining rental stock classified under the social housing sector, which has long waiting lists and restricted to those on high salaries. Read more about renting in the Netherlands. We help all expats in the Eindhoven region. The larger employers for expats in the Eindhoven region are ASML and Philips. Starting a business or already having a business and buying a house in Eindhoven? They are two of the biggest things you can do in life – but do buying a home and starting a business go hand-in-hand? When are you obliged to repay your mortgage? Mortgage advice Amsterdam for buying a house or refinancing? Our mortgage advisors in Amsterdam can help you make sure you never pay more than you need to for your mortgage. With the help from our firm we can make the complete mortgage process as clear and uncomplicated as possible. 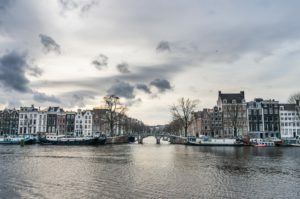 Buying your first home in Amsterdam or the Netherlands can be a very exciting time, but there is also a lot to learn. Our financial advice covers a wide range of tips and guidance for first time buyers; such as how to save for your mortgage. We are committed to provide an excellent level of service. Many of our clients come from abroad. Recommendations to friends, family and colleagues and can be anywhere in Amsterdam. We work nationwide and therefore we provide mortgage advice over the phone, by e-mail or in person. Need mortgage advice in Amsterdam? We are glad to assist you! Want to live in the wonderful famous Dutch city of Amsterdam? Not surprising of course, because there is so much to see and do in Amsterdam. For instance the impressive Rijksmuseum or the beautiful canals. Perhaps you need to adjust to the overwhelming presence of bikes! Our highly educated mortgage advisors will give you more then appropriate mortgage advice in Amsterdam. We love Amsterdam as well. Book an initial, free of charge, telephone consultation with one of our mortgage advisors right now! The housing market is going through extraordinary times in Amsterdam. A house with a garden is becoming scarce and the prices are going through the roof. Without guidance is it very hard to get hold of a house in the capital city of the Netherlands. Amsterdam, with its extraordinary canals, has a lasting appeal on a large group of people. Expats often choose to live in Amsterdam compared to other cities because of its favourable establishment environment. 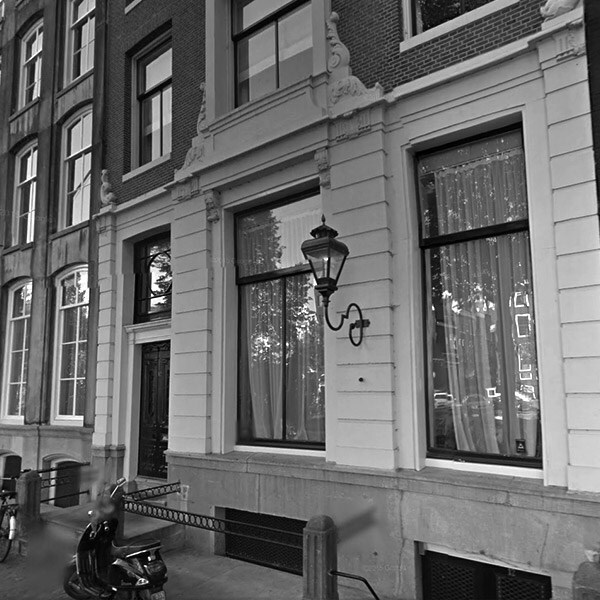 There is a unique mannerism to bid on a house in Amsterdam. The notary prepares a concept purchase agreement and invites the parties involved in the process to sign the document at his or her office. Any person currently looking for a home to buy in Amsterdam knows that offers are frequently made without a resolutive condition. Also known as a finance clause. This clause give you time to organise a mortgage for your new house. When you take out a NHG-backed mortgage, you know for sure that your mortgage matches your income. That’s because your mortgage meets the criteria for responsible lending and borrowing set by the National Institute for Family Finance in the Netherlands (NIBUD). So you know for sure that you’re not borrowing more than you can afford. After making the monthly mortgage payment you’ll still have money left for other expenses like groceries, insurance and your savings account. Starting a business or already having one and buying a house in Amsterdam or elsewhere in the Netherlands? They are two of the biggest things you can do in life – but do buying a home and starting a business go hand-in-hand? When am I obliged to repay my loan?